U.S. markets ended a volatile month on a high note Friday. 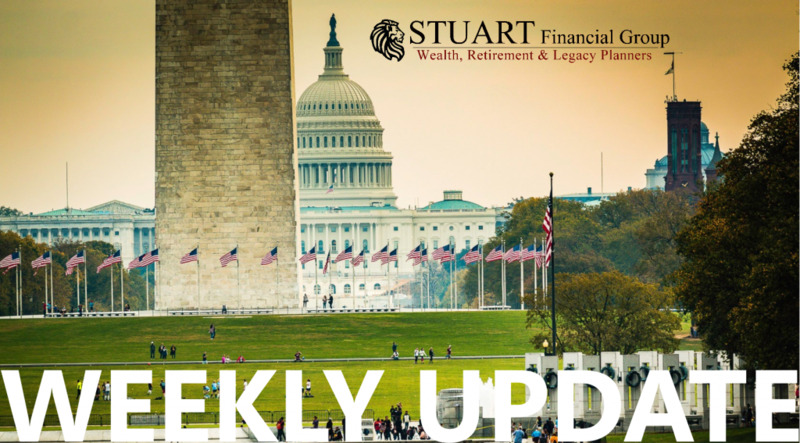 All three major indices posted impressive increases for the week, buoyed by news from the Fed Reserve and international trade. The S&P 500 jumped 4.85%, and the NASDAQ finished up 5.64%—both gains are almost 7-year highs. Meanwhile, the Dow experienced a 2-year high, increasing 5.16%. Internationally, the MSCI EAFE rose 0.95%. Last week was a tough one for markets. The S&P 500 dropped 3.79% and experienced its worst results during a Thanksgiving week since 1939. While the index officially entered correction territory on Friday, it closed 10.2% below its most recent record high. Meanwhile, the Dow and NASDAQ continued the downward trend, losing 4.44%, and 4.26%, respectively. International stocks in the MSCI EAFE also declined, posting a 1.12% loss. Markets experienced more volatility last week, as perspectives on trade, tech, and retail pulled investor sentiment back and forth. Although domestic indexes were up on Friday, November 16, they still posted losses for the week. In all, the S&P 500 dropped 1.61%, the Dow declined 2.22%, and the NASDAQ gave back 2.15%. International stocks in the MSCI EAFE ended the week down 1.51%. Despite domestic markets dropping on Friday, November 2, the S&P 500 added 2.42%, the Dow increased 2.36%, and the NASDAQ gained 2.65%. International stocks in the MSCI EAFE were also up 3.34%. Currently, many topics are on investors’ minds, from inflation to tariffs to valuations and beyond, but analysts are not pointing to one single culprit for last week’s performance. Instead, a mixture of concerns, with a large dose of emotion, seemed to drive the markets. Despite a number of equities posting last-minute gains on Friday, all three domestic indexes had sizable losses for the week. In fact, they posted their worst weekly performance since March. The S&P 500 dropped 4.10%, the Dow declined 4.19%, and the NASDAQ gave back 3.74%. International stocks in the MSCI EAFE also lost ground, decreasing 3.96%. The latest labor report helped underscore some of the differences between the U.S. economy and the rest of the world. While the data missed the mark for new jobs added, September marked the 96th-straight month of job growthand the lowest unemployment level since 1969. The report pushed interest rates higher, which contributed to last week’s equity losses. For months, fears of a global trade war have dominated headlines. Last week, China and the U.S. launched new tariffs on each other’s products, but the latest round of this trade skirmish had an interesting effect. Rather than feeling concerned, both analysts and investors interpreted the tariffs to be lower than what they expected. As concerns about the global trade war calmed, both the S&P 500 and Dow reached new record highs. Of course, the change from one month or season to another isn’t enough to trigger market losses and rising volatility.